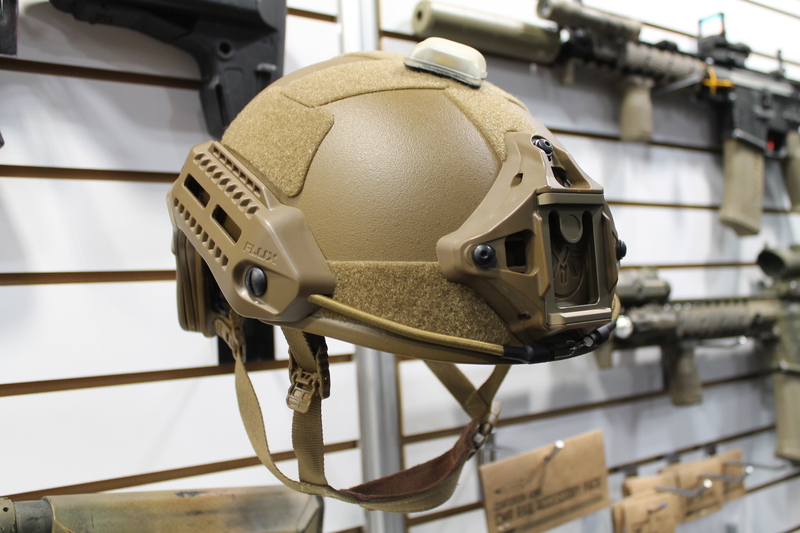 Last airsoft post from SHOT – actually the last booth I was able to stop by before the announcement came over the tannoys that the whole thing was over, was G&G Armament. Truth be told they’re not a brand I’ve ever purchased much from other than my ironic pink AEG, but I found they had a few pretty interesting bits and pieces going on. The first one I spotted was the Cobalt AR replica, which is an AEG and at first I dismissed it thinking it would only have the Cobalt looks with none of the functionality, but on speaking to one of the reps I was proven quite wrong – something I enjoy in the right context. 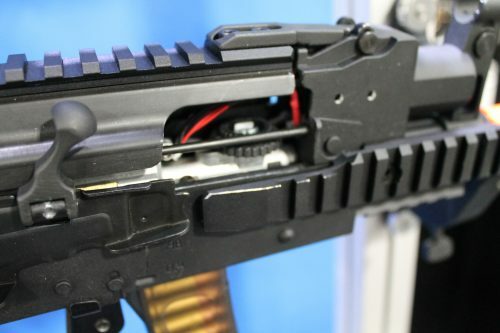 The gun can run standard AEG mags, but if you use the proprietary mags it will feed every single round and then drop mags automatically as soon as said magazine is completely expended. Practical skirmisher? Of course not. 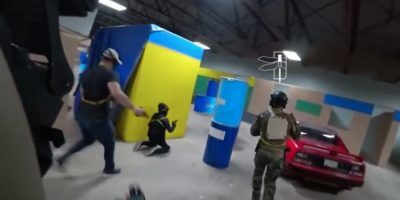 But there is airsoft based competitive shooting of various styles in various countries where the real thing is not allowed and increasing your reload speed in that arena is something I can see folks wanting. Yes I know it’s better to proactively reload and that applies to any situation with a gun, but it’s an interesting feature regardless. Not something I’ve ever seen elsewhere in the airsoft market, though hopefully they’ll sell some rubber bumpers for the mags that are a bit more substantial than just a Magpul. 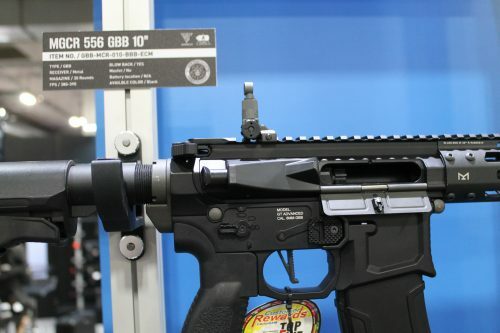 Next is their new GBBR which is fairly typical in most ways and comparative to other gas-in-mag rifles already on the market, however the magazines weigh about half that of your typical green gas mag for KWA/TM/GHK and that’s a pretty strong selling point. Also on show were some new entries in to their split side gas pistol line, the advantage of the fixed barrel being perhaps a bit more accuracy vs replicating the tilting barrel, short recoil action that most modern sidearms use. 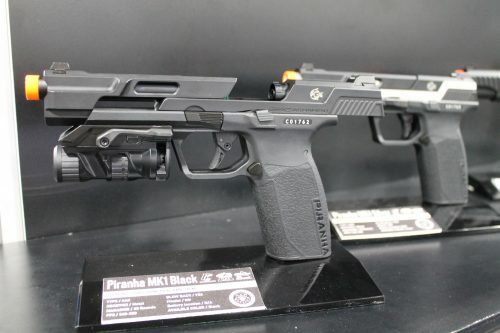 You will presumably lose some recoil from the lesser mass that’s cycling, but equally it’s airsoft pistols, they barely shake as it is and the gas efficiency ought to be pretty good. 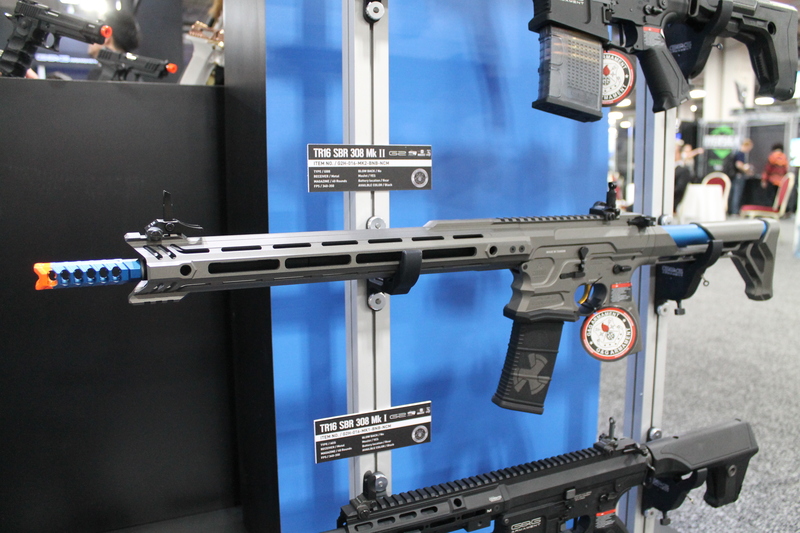 The last of what I saw in terms of new guns were the rock-n-lock 9mm style AKs that feature a new hop unit, one that finally makes use of a dial in place of those old TM style sliders; more precise adjustment and better resistance to movement. 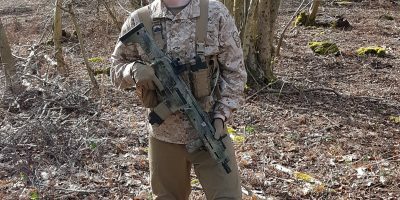 I did also play with one of the No4 rifle prototypes and honestly it felt great for an airsoft gun and I want one, which is a rare thing for me to say. Unfortunately it turns out they’re having some issues getting the fake clips to hold enough propane in the current configuration so the release is still a way off. I hope they can remedy that within the next year or so because I want to run a No4 with all modern gear, multicam, cryes etc. Or maybe do a BF:V loadout if I find gear in the game that is actually obtainable and looks cool enough in real life.